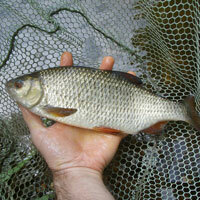 M and B Fishery is a popular and well managed place to go fishing which is located in Totnes, South Devon. If you are going for a holiday in the area, this fishery presents the perfect reason to pack some fishing tackle in the car! The fishery consists of a single large lake. The water has 3 islands and a depth that ranges from around 3ft in the shallow end through to 18ft in the deep end. The lake is stocked with a wide range of species, including a big head of carp. 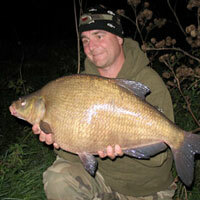 The lake record for the biggest fish is in the low 20s, but this is slowly creeping up each season as the fish mature. 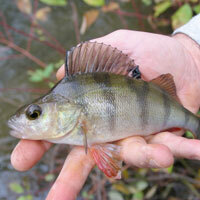 The fishery is open between 1st April through to 31st October. This must help keep the banks in top condition during the wet, cold and muddy months! These prices allow you to fish with up to 2 rods. 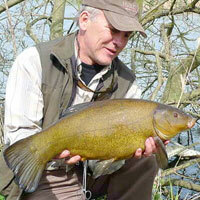 If you have a 3 rod licence you can use an additional rod for an extra £5. Address: Hazard, Dipford, Totnes, South Devon, TQ9 7PE.